“[Mubiangata] spoke no English as a new arrival, acclimated himself to his new surroundings, became the team captain, graduated high school and now attends a four-year college,” Gucciardi says. 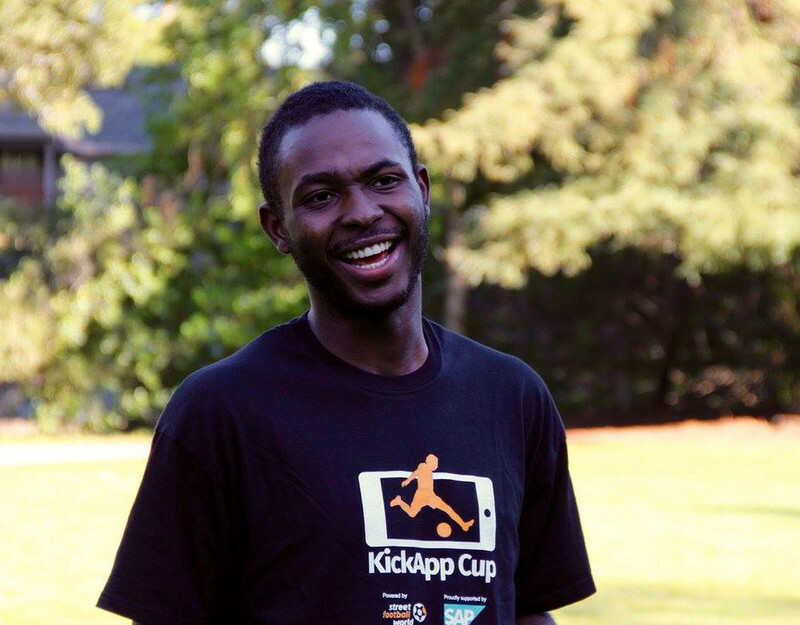 While he has outgrown the Soccer Without Borders program, which supports children and teens, Mubiangata still plays with fellow students and professors on intramural teams at Cal State East Bay. It was during one of those games Mubiangata and Atencio discussed how CSSJ — which wants to promote international student engagement on campus — and Soccer Without Border could come together for an event that would blend the goals of both groups. The event, which is co-sponsored by CSSJ’s student club and the Pioneer Soccer Club, will include games featuring two Soccer Without Borders teams pitted against a Cal State East Bay student-faculty team, where both Atencio and Chair of Kinesiology Paul Carpenter will play. There will first be a one-hour discussion and video presentation at the field house at Pioneer Stadium, followed by three 30-minute matches. The day will culminate in a friendly championship match, with prizes such as soccer jerseys, balls and backpacks. The participants will all be treated to pizza.